Since I started strictly following the paleo diet I had to start making my own salad dressing. I realized that salad dressing made by large companies had added sugar and soy products. For the past 4 months I have only eaten salads with my own dressing. First I tried making a salad dressing with vinegar and raspberries in it. It was ok but I quickly learned that I am not a fan of vinegar, so I continue looking for a good dressing recipe. I experimented for a little while and eventually came up with a pretty good recipe. Mix 4 oz of extra virgin olive oil with 4 oz of lemon juice. Chop up several pieces of parsley and add it to mixture. Add salt and pepper. Shake before using. That sounds pretty good. I usually just eat my salad dry. I should start experimenting with dressings to make them more interesting. I’ve been eating salads with oil and vinegar this whole time. I think I need to mix it up a bit. Thanks! I’m glad to expand your salad dressing horizons. I probably need to find some new creative dressings myself. This is the only dressing that I use currently. This looks great! A little bit of the lemon rind would be good, too. Lemon rind would make it pretty fancy but I can be kind of lazy sometimes. Also I usually use a giant bottle of lemon juice so I have no rind to use. I like using lime juice, olive oil, and sea salt. 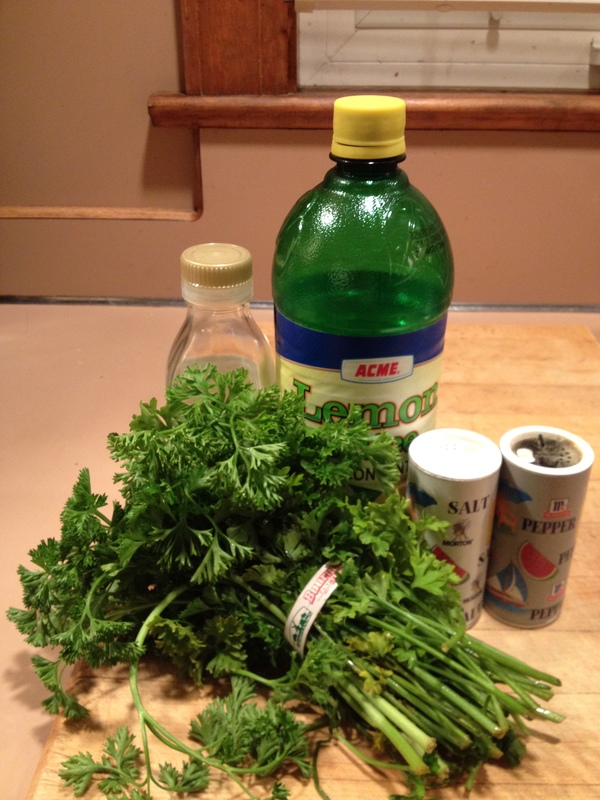 Adding parsley is great – another layer of vitamins! Give it a try, it tastes good too. I also find that olive oil and lemon mix together best when slighly chilled.